Selected Villas for rent near Le Barachois (Mauritius) - Contact us now! 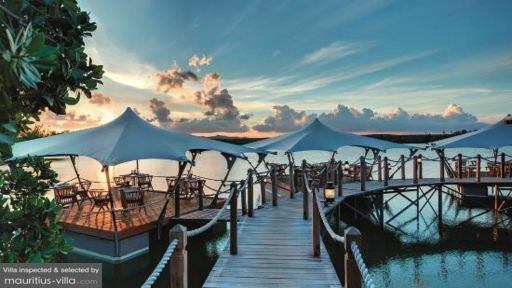 To arrive, a lengthy stroll along a candlelit boardwalk above the coast’s shore eventually brings you to the restaurant, which is actually comprised of a handful of pontoons surrounded by mangroves and a tranquil lagoon. Once you get some fresh seafood of the Indian Ocean spiced with Creole touches, it’s clear that the fare is a worthy contender for the setting and the flavors.